Yes, summer has barely begun, but that doesn't mean it's too early to start thinking about football season. Thankfully, the networks agree and have already begun choosing which games will air early in the fall. 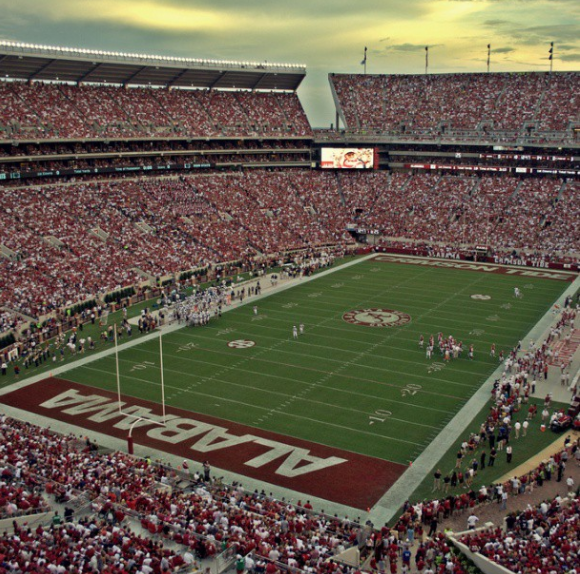 Bama's week 2 game is the season's first at Bryant Denny, with a 3:30 p.m. EST kickoff against Western Kentucky (ESPN2). Bama's Week 3 road game vs. Ole Miss on Saturday September 17 will air on CBS at 3:30 p.m. EST. Bama opens the season against USC on Saturday September 3 in Arlington, TX. The game starts at 8 p.m. EST on ABC.